Anything is possible… for one day anyway. 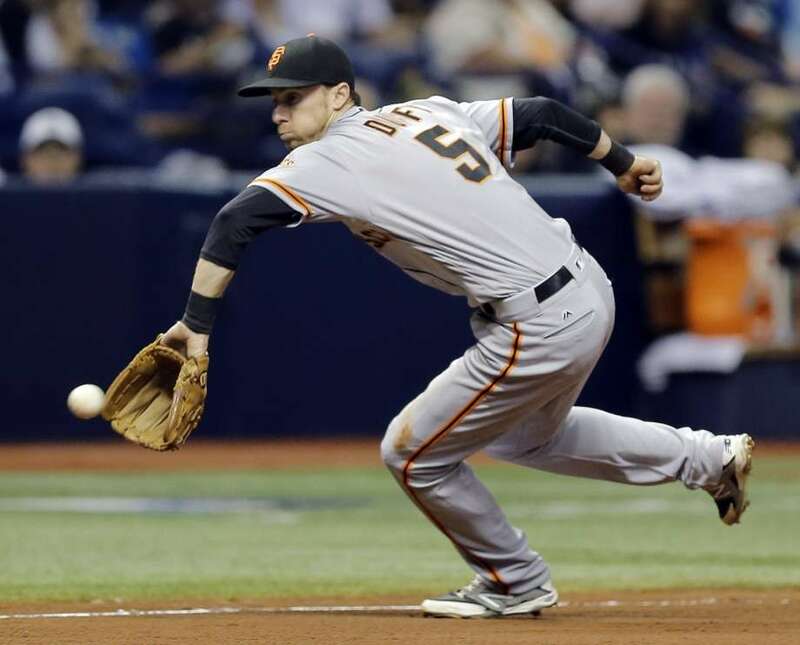 Will the San Francisco Giants continue their year-to-year progress? They finished last season next to last in their division, a marked improvement over 2017 when they had the worst record, not just in their division, not just the National League, but in all of Major League Baseball. Anything is possible… for one day anyway. If only the Giants had a Roy Hobbs. The seagull habitués of the China Basin corner of San Francisco Bay, where the Giants play, know how to read the scoreboard. When the game gets into the late innings, a few appear, circling McCovey Cove and the right-field bleachers. If a game goes long, they begin to show their annoyance by trespassing into the airspace over the playing field. Fans have been trained to clap and make noise, scaring them away. But only for a few minutes. 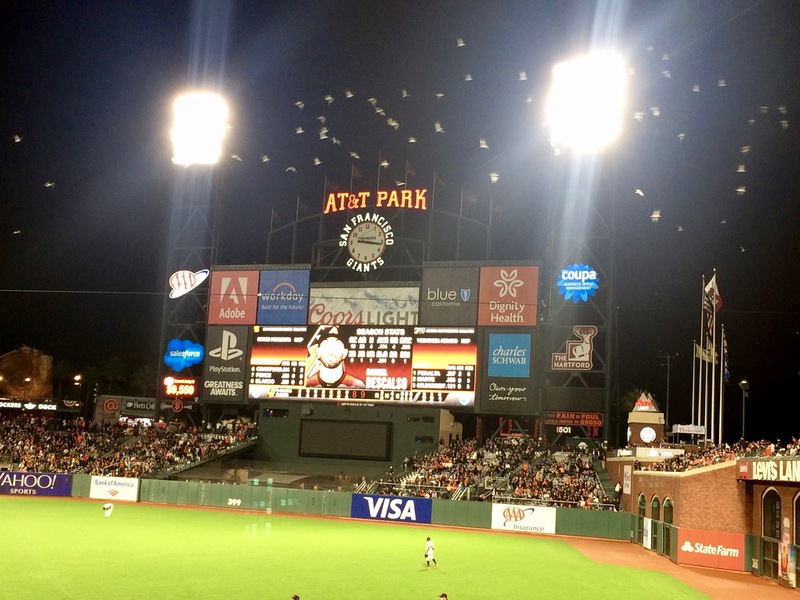 Extra-inning games are especially infuriating and the birds show their displeasure at being delayed from scavenging leftover ballpark food by flying closer to the field and in greater numbers. 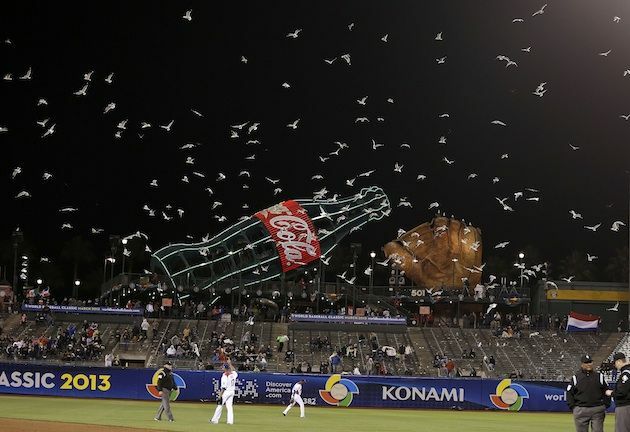 When the game finally ends and the crowd finally disperses, the seagulls invade the stands and devour what they consider to be their entitlement. The San Francisco Giants were World Series winners in 2010, 2012 and 2014. At the All-Star break, just past the 2016 season midpoint, the Giants were on their way to another even-numbered year championship. They led their division by ten games over the second-place Dodgers, with a record of 57 wins and 33 losses. Then they traded away third baseman Matt Duffy. After trading Duffy, the Giants compiled a record of 30 and 42, clinching a wild-card playoff spot on the last day of the season. Coincidence? I think not. The Matt Duffy curse continues in 2017. The Giants are battling the Philadelphia Phillies for the worst team in Major League Baseball. Their record since the 2016 All-Star game through the end of July is 70 wins, 109 losses. Giants pitcher from another century, Hall-of-Famer Christy Mathewson, once said, “You can learn little from victory. You can learn everything from defeat.” The Giants are amassing a huge storehouse of knowledge. Also led the Giants in Runs Batted In. The San Francisco Giants had the best record in Major League Baseball up to the All Star break. Since then, they’ve been mired in an extended slump. Here’s something to help fans smile: one recent day at AT&T Park.